Pinguicula longifolia. Photo: W. Barthlott. The group Evolution and Biodiversity of Plants (chair Kai Müller) was established in 2009, as one of the five major groups in the Institute for Evolution and Biodiversity at WWU. The working group deals with the evolution of plant biodiversity. 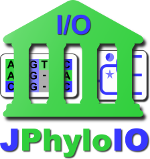 Using phylogenetic reconstructions based on molecular data, we contribute to new plant classifications as a means of communication in the whole field of biology. In addition, we test hypotheses on spatial and temporal diversification and key innovations of several angiosperm groups. One current focus are carnivorous plants in the order Lamiales: here, chloroplast genome evolution and the observed nuclear genome miniaturization are among the main research topics. In the context of these subjects, we also contribute to bioinformatic method and software development. 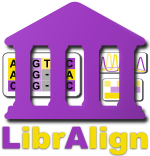 A new version of our GUI library providing powerful components for displaying and editing multiple sequence alignments and attached raw- and metadata was released.